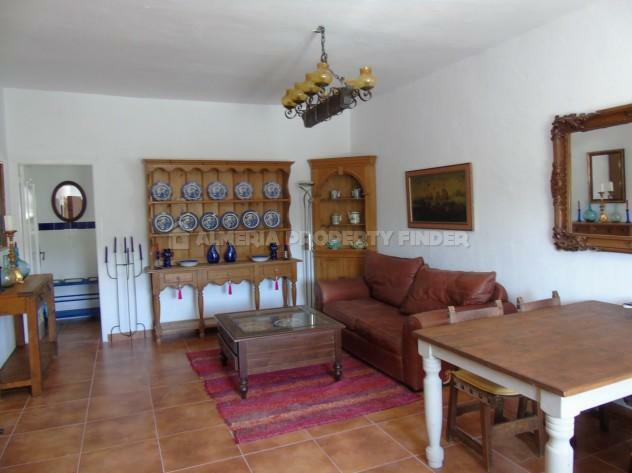 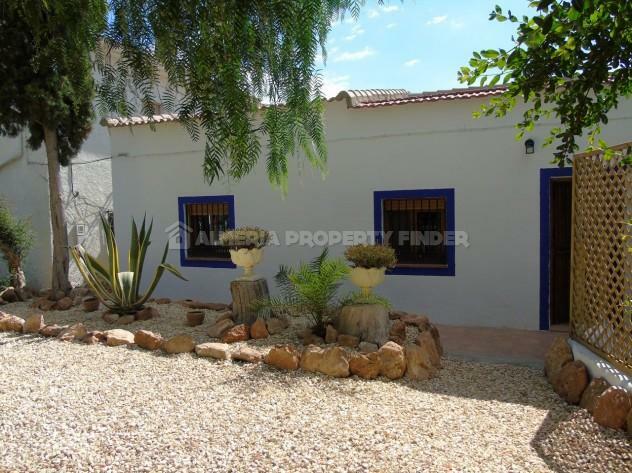 Delightful 2 / 3 bedroom country house situated within walking distance of the popular town of Albox. 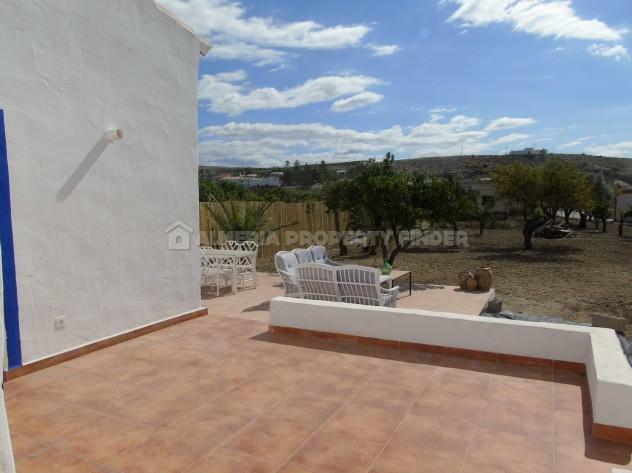 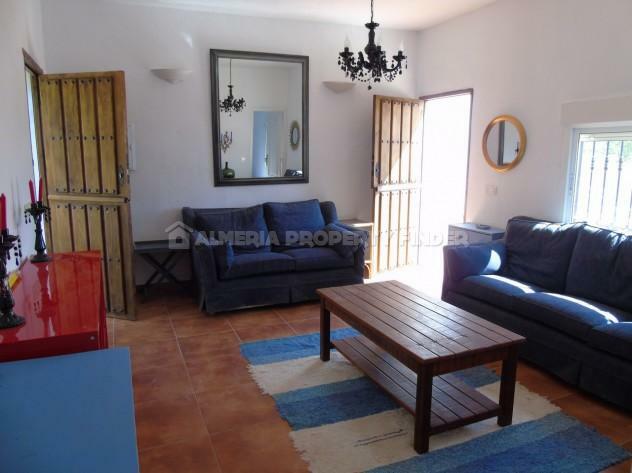 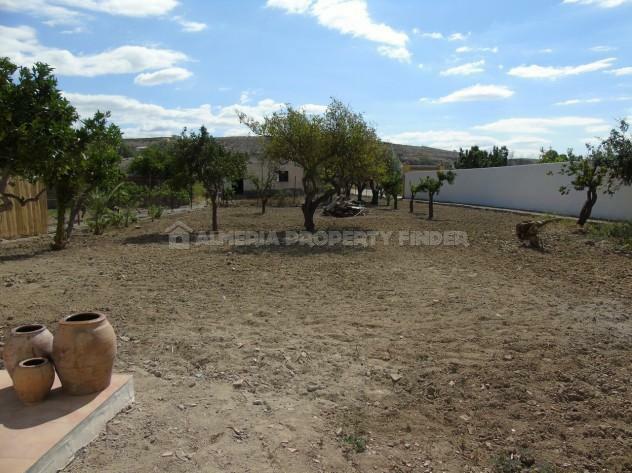 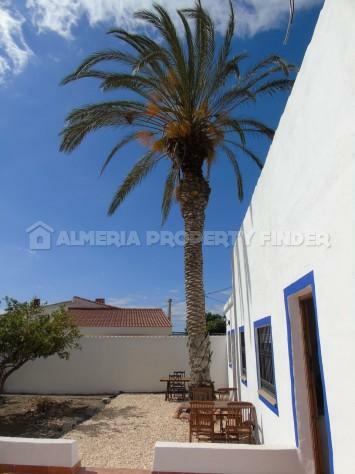 This fully renovated single storey house for sale in Almeria Province is set in a plot of 1012m2. 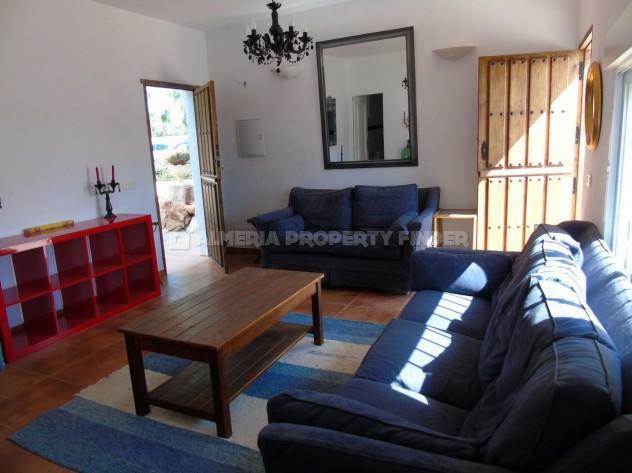 The property is situated in a quiet location at the end of a short track, with a gravelled parking area for 2 vehicles to the rear of the house. 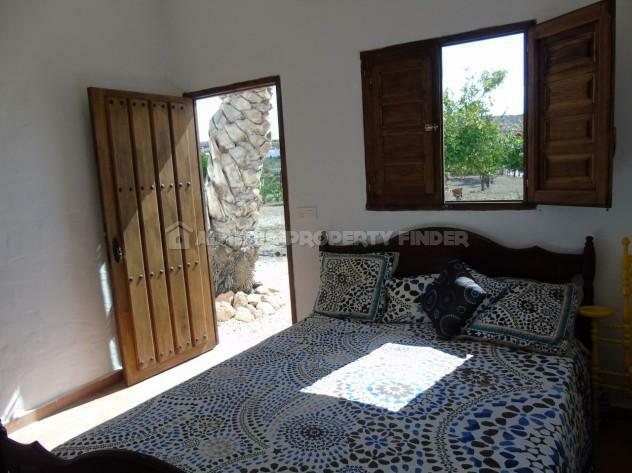 A traditional wooden stable door opens into a sitting room with another stable door leading out to a tiled patio, which is about to be converted to a conservatory. 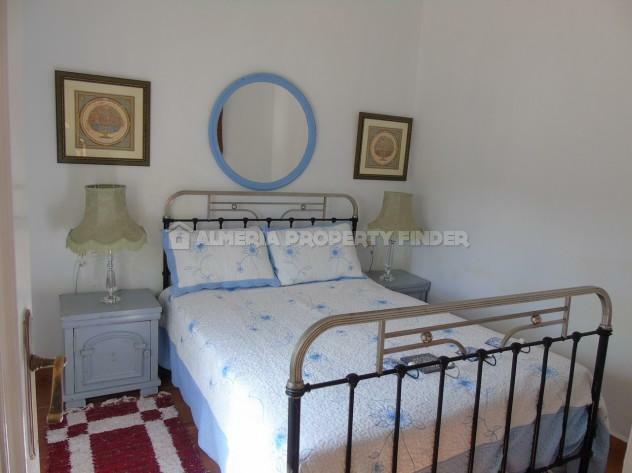 Off the sitting room is a small double bedroom and a shower room with a tiled shower cubicle, WC,and basin. 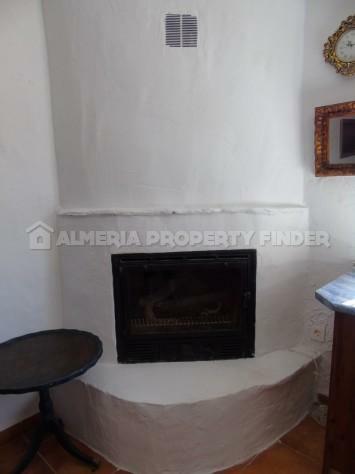 There is a spacious open plan living area with feature corner fireplace housing a wood burner and a door leading out to a patio. 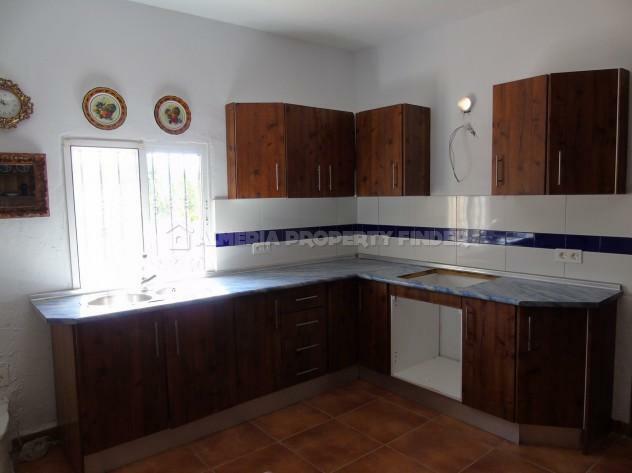 The kitchen is fitted with modern wood effect cupboards, top and bottom. 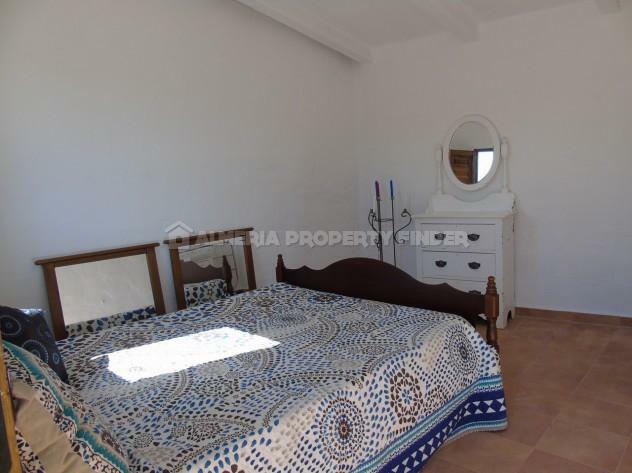 Leading off the living room is a good sized double bedroom, also with a door out to the patio, and a shower room with large tiled shower, WC, bidet and basin. 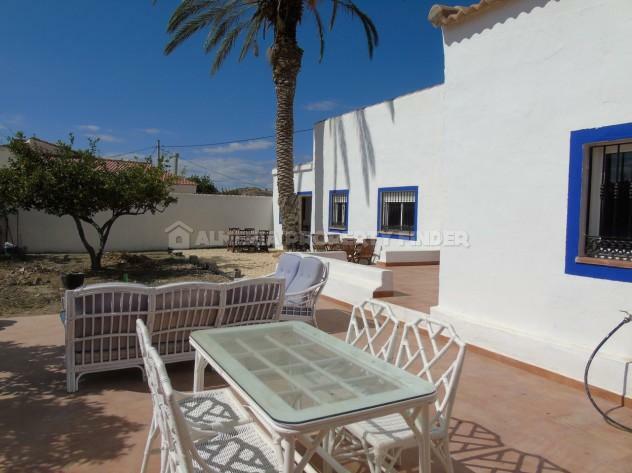 The patio leads out to the front garden and it would be possible to add a vehicle gate to allow access and parking to the front of the house as well as to the rear. 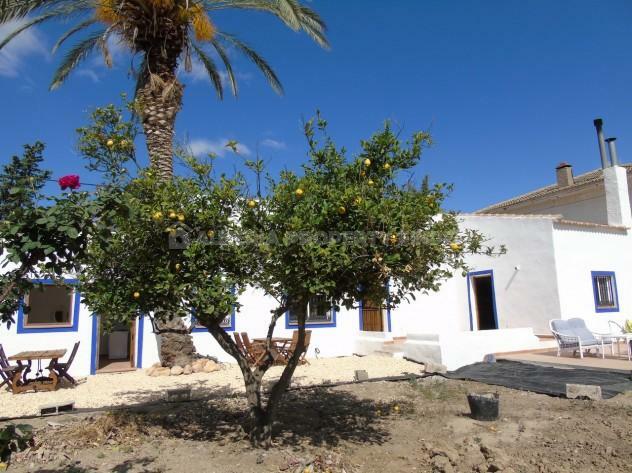 The garden is planted with various fruit trees including lemon and pomegranate and there is ample space for a pool. 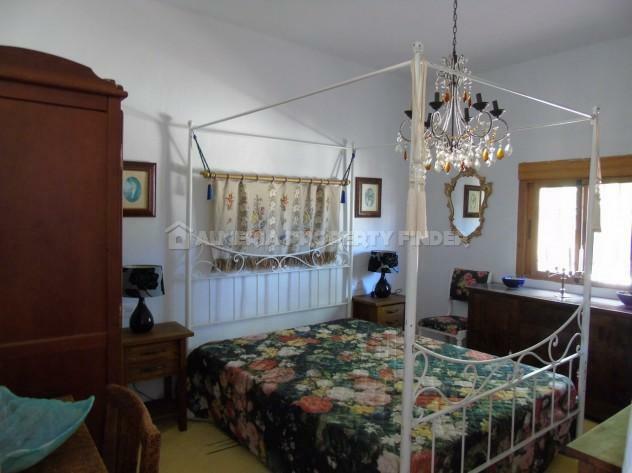 To one side of the house is a large room with external access which is currently used as a guest bedroom. 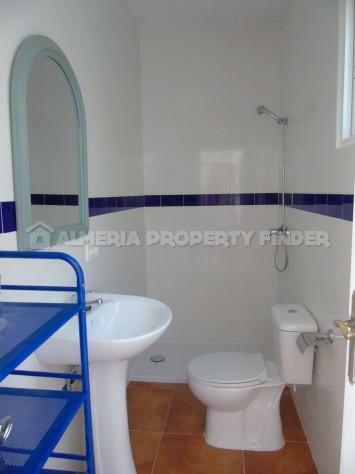 There is sufficient space to add an ensuite shower room and there is already plumbing in place. 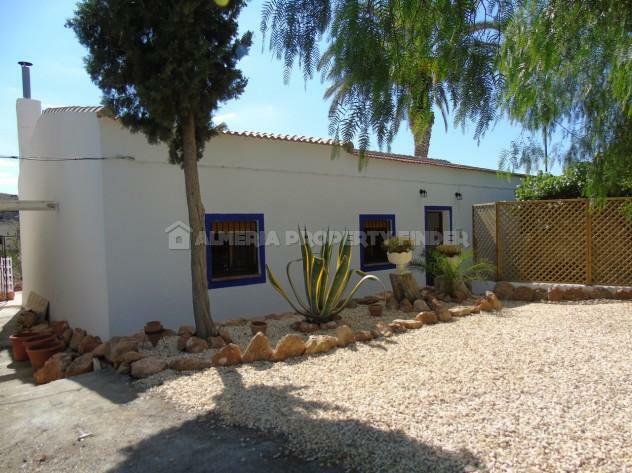 The property has a new roof, new floors and new electric & plumbing installations throughout. 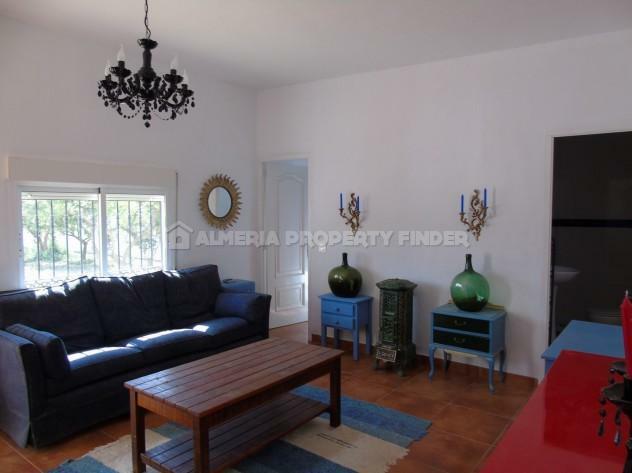 Albox offers a wide range of shops, supermarkets, banks, cafes, tapas bars, restaurants, schools, sports facilities, a 24 hour medical centre and two weekly markets. 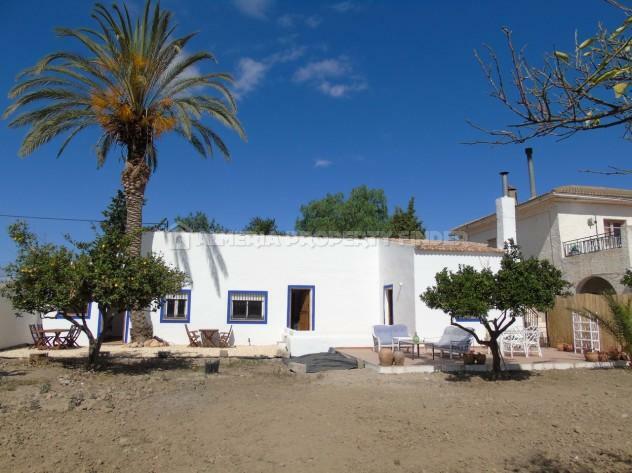 The property is 40 minutes drive from the coast and around 1 hour 10 minutes from Almeria airport. 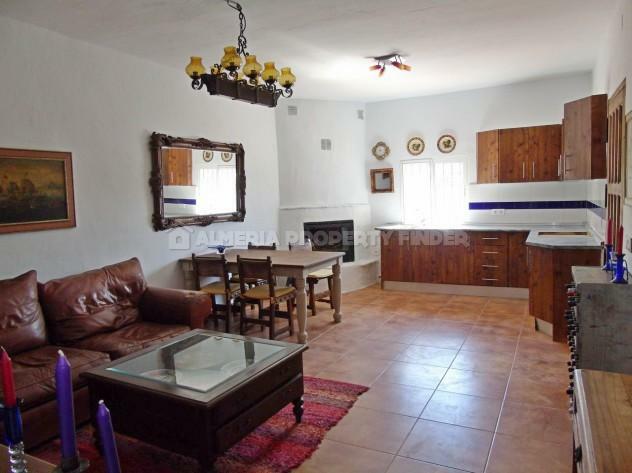 Please don't hesitate to contact us if you would like to make an appointment to view this fabulous country house for sale in Almeria Province.